Ben Franklin’s words of wisdom that “an ounce of prevention is worth a pound of cure” is just as true today as it was 300 years ago when he said it. Although Franklin was most likely referring to the human species when he voiced those wise words, the same can easily be applied to the equine species as well. Humans and horses have forged a powerful bond dating back thousands of years. From use in the Greek military over 2,000 years ago to the ranches of the burgeoning American Wild West, horses have fulfilled a crucial role in the history of man. Their bodies have evolved to master speed, endurance and strength and today, many of those qualities are exhibited in sport. Their bodies may be built to run, jump, and support a rider, but training can put incredible stress on the body of a horse. Common conditions such as suspensory and other ligament and soft tissue injuries are occurring at incredible rates. Kissing spine, SI pain, tying up, navicular and other conditions are common among horses across all sport disciplines. While all injuries are not preventable, many can be with carefully executed training and conditioning programs. A key team comprised of a trainer, veterinarian, therapist and chiropractor is the first component in prevention. The expertise of this team in conjunction with a rider and owner who are in tune to the body and needs of the horse can make for a very successful injury prevention strategy. Right on level with the importance of nutrition are laser and pulsed electromagnetic field (PEMF) therapy systems. Both systems use FDA approved, non-pharmaceutical mechanisms to reduce inflammation and pain and accelerate healing by using a specific wavelength of light or pulsed magnetic fields to stimulate the body’s own healing and immune process. 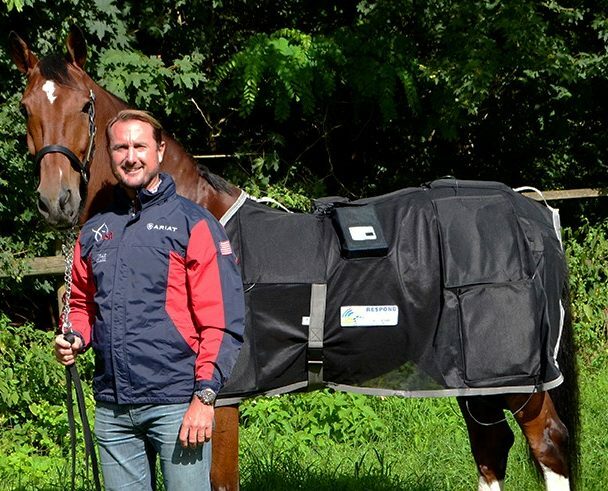 PEMF blankets and wraps are a crucial component of the conditioning regime of top equine athletes around the world. Used prior to competition to warm-up the joints and muscles to prevent injury, or after competition to remove lactic acid, reduce soft tissue inflammation and ease the tension in muscles and joints, these systems are a must-have for overall conditioning and treating injuries. Laser therapy uses scientifically proven wavelengths of light to jumpstart the body’s cells to churn out ATP, the energy molecule crucial for all cellular function, to help reduce pain, decrease inflammation and accelerate healing. 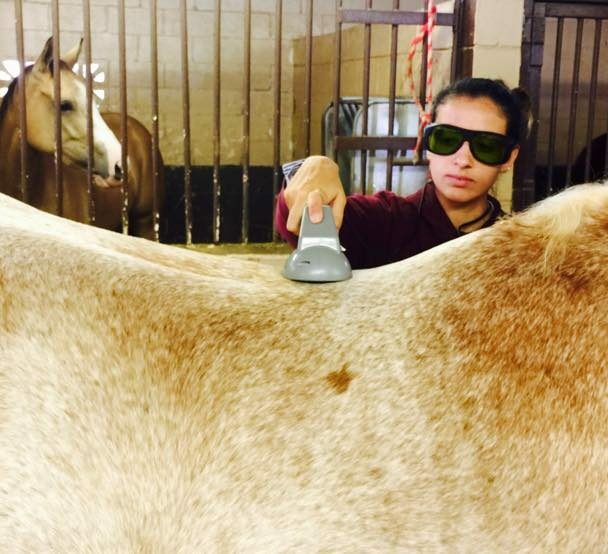 From healing wounds to soft-tissue injuries, laser therapy can target specific areas of the horse’s body to treat a specific injury or strengthen a weak area prior to competition to help prevent further injury. Peak condition is required for elite performance and that is where RSI Equine, a division of Respond Systems Inc., plays an integral role. Backed by 30 years of experience manufacturing laser and pulsed magnetic field therapy in the USA, RSI Equine’s products have become a critical component for conditioning and have become a therapy of choice for healing injuries. Visit RSIequine.com for more information on how to not only prevent injury, but to also treat conditions and injuries quickly, safely and effectively to get your horse back into peak condition. Nothing is more heartbreaking than a pup or kitty with those sad eyes looking up at you because they are in pain or are uncomfortable. 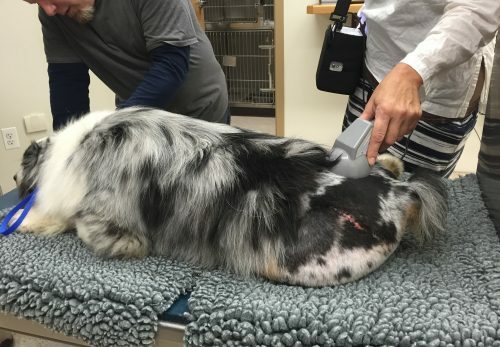 Age, injury, a chronic or acute condition….there are a plethora of reasons that an animal can be sore. Compounded on top of that can be depression because he is no longer able to go on walks, play with you or his fellow animal friends or even jump up on the couch (if they are allowed!). When considering an elderly dog or cat, complications with anti-inflammatory, steroidal or pain medications are definitely a factor. There are many highly effective pharmaceuticals on the market today, and many time prescription medications are necessary. But if your veterinarian is not mandating a medication, and you are wary of side-effects with a voluntary prescription to help with the pain and inflammation, there are other options. Chiropractic care, rehabilitation therapy, laser therapy and acupuncture are among a few of the most common alternatives to help your pet suffering from conditions such as arthritis, soft tissue injury, hip dysplasia, degenerative joint disease, bone fractures and neurological injuries. Check with your veterinarian for a referral if your general practice does not offer these options. Another FDA approved, non-pharmaceutical and highly effective treatment is pulsed electromagnetic field (PEMF). Respond Systems’ Bio-Pulse PEMF systems have been in use for over 30 years on horses, dogs, cats and even elephants and giraffes! PEMF uses pulsing magnetic fields, developed by pulsing a small amount of battery current through coils of wire, to initiate normal biological cellular reactions that result in improved circulation and provide pain relief. PEMF has the unique ability to pass through fur, skin, bandages and bone. The depth of field of Respond Systems Bio-Pulse PEMF Small Animal Bed can penetrate through the entire body of a dog lying on the bed reaching deep into the joints and muscles stimulating circulation. The 30 to 60-minute treatment cannot be felt but the effect is noticeable and many times your pet will relax on the bed or even fall asleep. Typically, you will see results within two weeks and many times you will notice an immediate difference in the way your pet rises, walks and runs. 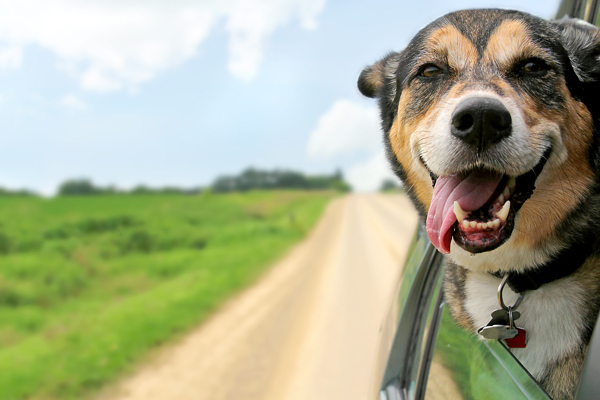 Quality of life is top of mind for any pet owner caring for an elderly or injured animal. Managing the pain and inflammation due to some of the conditions mentioned above is crucial to your pets comfort level and can indeed be managed or even remedied! 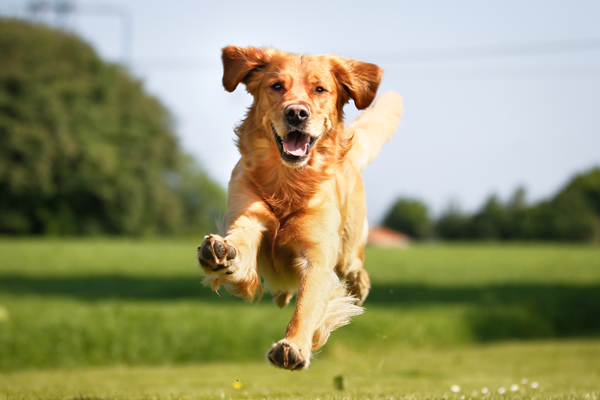 So put a smile back on your pets face with a PEMF therapy treatment. For more information visit respondsystems.com. 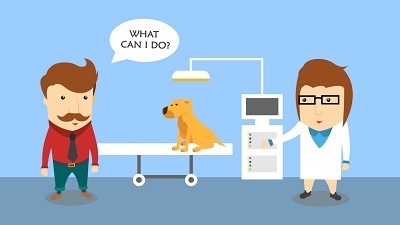 Respond Systems is a second-generation, family owned business that has been manufacturing both laser and PEMF therapy systems for the veterinary market over 30 years. 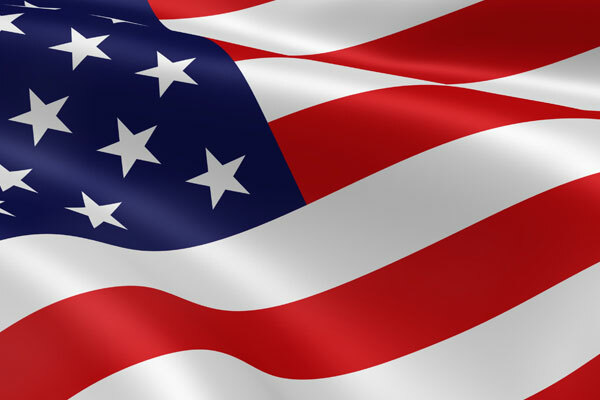 Proudly made in the USA, Respond Systems is dedicated to a mission of providing quality equipment, service and innovation to better the lives of all who use the therapy systems. What sets Respond Systems apart from other laser companies? The most frequent responses we hear are excellent products, proven history, and exemplary customer service. But did you also know that Respond Systems has been manufacturing Laser and PEMF veterinary systems on the shoreline of Connecticut for almost 30 years? The company was founded by Doreen and Don Hudson in 1983, when they were the only laser company based in the United States. From the very start, the overall development of Respond Systems’ products were based on extensive scientific research, data and proof. And since the products were originally going to be used in horse barns, they were designed to be workhorses – able to stand up to arduous conditions and work all day every day. We are very proud to say that some of the original systems, made in 1983, are still being used today – pretty amazing considering the delicate components that go into each system! When you purchase products from Respond Systems, you can be assured that the entire process happens in one place – testing, designing, manufacturing, order fulfillment, shipping, customer service and repairs are all performed at our large facility in Branford, CT. The core products and values of the company have never changed since their inception in 1983 and the company is second generation family owned and operated. Respond Systems, Inc has welcomed Lisa Miksis to the business on April 6, 2015 as the Vice President and Director of Marketing. After spending the last 7 years as Publisher of a community media group in CT, Lisa is bringing her communications, operations and marketing expertise to Respond. Respond Systems manufactures and sells magnetic therapy equipment and Class 3 and 4 lasers to the equestrian and small animal veterinary markets both nationally and internationally. The company is based in Branford, CT and has been manufacturing in the USA for over 30 years. “My goal is to package the incredible quality, impeccable customer service and innovative technology of Respond’s products into a message that resonates with the customers we can serve best” says Miksis. 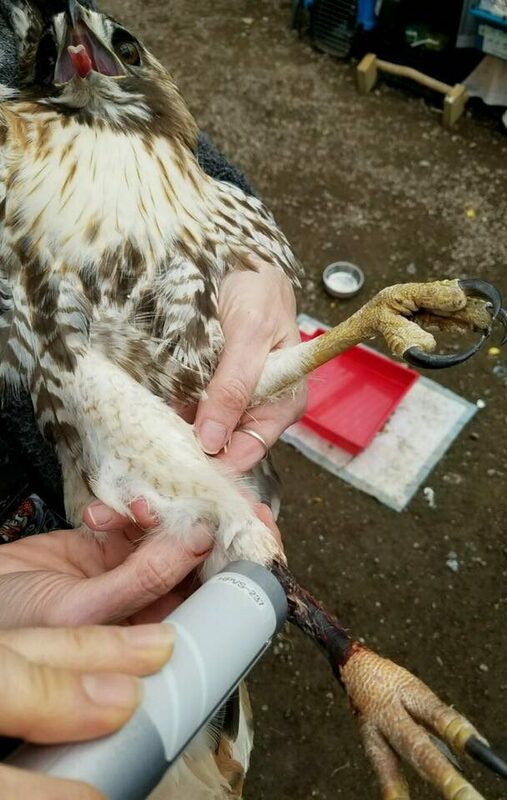 As the wife of owner Brian Richardson, Lisa has been admiring Respond Systems from the sidelines for the last 19 years as Brian and founders, Doreen and Don Hudson, in addition to their staff of seasoned employees, have contributed to the health and wellbeing of thousands of animals across the country. Respond System’s has been innovating in the PEMF and laser therapy markets with products such as the Bio-Pulse Sentry PEMF Horse Blanket, targeted to treating equine muscle fatigue, stiffness, fractures, inflammation and injuries, and the Luminex Vet Laser that specializes in wound healing, pain management and repairing muscle and tendon tears. Brian Richardson has been a part of Respond Systems since he started working in the office during summers while in high school. Now owner of the business, Richardson had this to say about the addition to the team. 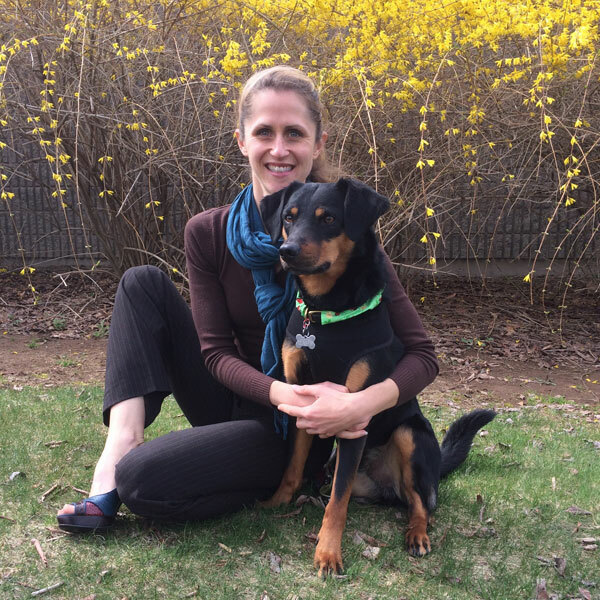 Lisa and Brian reside in Madison, CT with their two rescue cats and Norman, their tri-pod rescue dog from Atlanta. All of the four, and three-legged friends, are of course the lucky beneficiaries of the therapy equipment manufactured at Respond Systems. 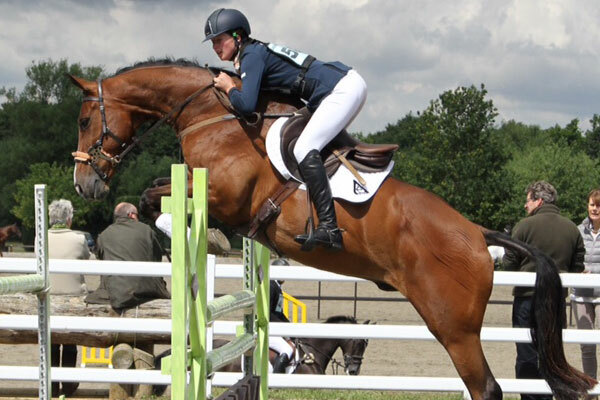 New Zealand-born but now United Kingdom-based eventer Hollie Swain has joined up with international marketing company Pulse Solutions to promote the Respond Systems range of magnetic therapy products. She will assume the role of brand ambassador and sponsored rider under the RSI mantle. The appointment coincides with Hollie’s move to her new training facilities in Dunsfold in England’s Surrey County. This comes after six years of being an integral part of Olympic team bronze medallist and Badminton Horse Trials winner Jock Paget’s eventing operation. “Having my own facility is another step toward my ambition of representing New Zealand in international competition. It’s important that I have a professional environment to work in which is also part of show casing my sponsor’s products and services,” says Hollie. The appointment of Hollie Swain is another milestone in the relationship between the two companies in bringing the best of equine health management technology to the wider world. Based in Branford, Connecticut in the United States, Respond Systems is a pioneer in the manufacturing of magnetic therapy (PEMF) systems including wraps and boots for pain relief and treatment of conditions such as arthritis and tendinitis. The company has been operating for over 30 years and has just recently launched its equine division, RSI Equine. Pulse Solutions serves as an independent sales and marketing arm for the Respond Systems range of products. Pulse Solutions managing director Kathryn Picton-Warlow says her company has had great success in marketing the Respond system in New Zealand and Australia. “We’re in the process of looking to introduce their product in other global markets. We’ve had a number of strategic connections and affiliations that should assist us with our plans. RSI vice president and director of marketing Lisa Miksis says this new chapter continues the strong affiliation the company has with Pulse in marketing the Respond products in strategic locations around the world. 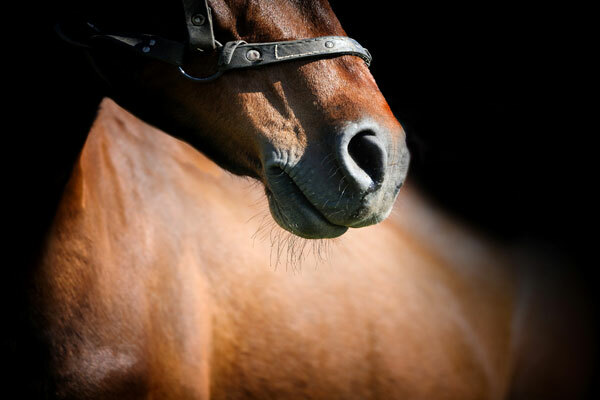 “Our Bio-Pulse systems are the best equine PEMF systems in the world. They’ve been chosen by the most discriminating owners and trainers of jumpers, dressage, driving and three day event horses. The United States Equestrian Team takes the Sentry system with them to world class venues where they help to keep the horses conditioned for peak performance. (Branford, CT) – Many manufacturers of equine health and wellness products are approached on a regular basis with sponsorship requests from riders, trainers and physiotherapists looking to acquire the best possible products for their horse’s wellbeing. “We are regularly contacted by trainers and physiotherapists and as of late, we have been receiving a lot of inquiries from amateur athletes in both the rodeo and equestrian event disciplines,” says Brian Richardson, owner of Respond Systems and their equine division, RSI Equine. Respond Systems and RSI Equine launched their first annual Amateur Rider Award earlier this year with the goal to support riders who compete with passion and dedication while also holding down full -time careers or are pursing a full-time degree. Twice in 2015, Spring and later Summer RSI Equine will award two amateur riders, one in the Western and one in the Equestrian disciplines, with a Sentry Pulsed Magnetic Therapy Blanket valued at over $5,000. And it is precisely for those reasons that RSI Equine is thrilled to announce the winners of the Spring Respond Systems Amateur Award, Cynthia Bayles of Camas, Washington (Eventing, Show Jumping and Dressage) and April Masterson, of Lincoln, Vermont (Barrel Racing). Cynthia Bayles balances a full time career at a financial institution, a family and competitive riding. “I really am thrilled and honored to be one of the two lucky winners of Respond Systems’ first Amateur Rider Award Contest,” comments Bales, “I’ve seen the positive results from using the Respond Cold Laser I purchased a couple of years ago and can hardly wait to start using the Sentry Magnetic Therapy Blanket! The timing is perfect too as our competitive season is just getting started. I’m looking forward to “experimenting” with it – pre and post competition, training etc. to see how it affects the horses and gets the best results,” she concludes. April Masterson carries a B.S in Exercise Science and Sports Administration, an M.S in Administration and works at United Technologies Aerospace Systems. She has also been Barrel Racing for 20 years. “The knowledge I gained in my studies earning my B.S I take pride in applying in my daily care of and working with my horses, and I find it very stimulating to keep up with the evolving equine therapies, and scientific research behind them,” Masterson says. “Rodeos are different from shows because it is not uncommon to be in three different states in three days for rodeos. Very rarely do our horses have stalls; they spend their time tied to a trailer or in temporary pens we bring with us,” she continues. “The Sentry Blanket would be a crucial part of my pre-race regimen and is an efficient way to reduce pain, swelling, stress and therefor healing time by stimulating cell repair. I am really excited for this opportunity and thank Respond for this once in a lifetime opportunity. With hundredths of a second determining the winners, everything you can do to make your horse feel better will help you win,” she concludes enthusiastically. Both winners will be receiving their Sentry Magnetic Blankets early May just in time for the height of the summer season.